Today we are providing the list of documents required for sukhanya samriddhi account yojana. The Girl Child Prosperity Scheme, popularly known as Sukanya Samriddhi Yojana was launched by Prime Minister of India in January 2015 with a clear aim of securing the future of girl children in India. The scheme offers an excellent small saving option along with tax saving benefits for the parents and guardians of the girl child. Sukanya Samriddhi Account offers the best interest rate of 8.6 per cent for FY 2016-17 among all other small saving schemes and has brought in lot of interest and speculations from the parents who are looking for both secure future for their daughters as well as tax savings for themselves. With a two fold benefit and high interest rate, this scheme would certainly take over the much popular Public Provident Fund. Certificate of Birth of the girl child: The certificate of birth is often provided by the hospitals where the girl child is born. In other situations, even a certificate issued by government officials related to domicile would also be considered to be valid for opening of the account. Please read this article for alternative to birth certificate. Address Proof of the parents or legal guardian of the girl child: The address proof document could be anything among Passport, Driving License, Electricity or Telephone Bill, Election ID Card, Ration Card or any other address proof issued by the Government of India. Identity Proof of the parents or legal guardian of the girl child: Likewise, passport, PAN Card, Matriculation Certificate, Election ID Card or any other certificate issued by Government of India validating the identity of the concerned person would be valid as an identity proof for opening the account. The Sukanya Samriddhi account could be opened in any of the post offices and 28 authorized banks by Reserve Bank of India by furnishing these details along with a deposit of Rs 1,000 by the parent or guardian of the girl child. The girl child is not required to be present at bank or post offices at the time of opening of the account. Do comment in case bank or post office ask for any other document so that we can make aware of the same to all other readers. Please note sharing will help us all to make India a better country. Bank want girl adhar card…Please suggest me if sbi can open sukanya account without adhar card. yes account can be opened without aadhar. But the bank is asking for aadhar of my 4 months old daughter. At first they weren’t bothered about aadhar, but now the bank said that account can’t be open without aadhar. it was today, the 11th May’2018. Pliz do suggest. In SBI branch west patel nagar asking for open sukanya smridhi yojna required document Aadhar card & PAN card is also required open a account . aadhar card is not mandatory but you can make aadhar card for 1 day baby. I went to sbi to open my 1 month old daughter account, but they refuse to open as they were asking for aadhar card of baby. Is that compulsary to provide aadhar card of baby to open this account as per govt. norms? Bank and post office want a baby girl aadhar card otherwise they refuse to open a sukanya samriddhi account yojana what can i do it tell me . I have filed RTI on https://rtionline.gov.in with Ministry of finance and Mistry of Women and child development for confirming whether aadhaar card required for opening Sukanya Samridhi Account. I suggest do the same . Also filed complaint with SBI nodal officers, waiting for their reply. requesting you to please share this details with all the audience, this will be a great help. I’m in the same boat right now! Please let us know your experience and the outcome of this … Thanks! I also face same problem at SBI Bank they refuse to open ssy without aadhara of my doughter,. Can I raise voice against the bank authority . Yes the banks are asking for adhar card. While applying for baby’s aadhar card, please make sure that the guardian name(applicant) should be mention for whom you want to apply for tax benifits . If the guardian is father then on Adhar card father name should be mention. the same situation with me .Tomorrow i went to open S SY Account ,but the S B I BHEL SECTOR 5 RANIPUR HARIDWAR( SBIN 0000586)refuse by the reson of AADHAR for 4 months baby . I also face same problem at HDFC bank. They want aadhar card of my daughter otherwise they refuse to open SSYA. Its already mentioned here no aadhar is required but SBI manager said that we can not open account without baby aadhar Number. Their system will open after inserting aadhar number. Is it true ?? Why SBI bank are asking for this and I applied three month back for aadhar for my baby daughter and still its under progress. I consulted aadhar customer support and they gave me complain request id and said, it will process faster now. But still no hope (its been more than 3 month now). I reapplied for aadhar and again one month is in progress. First making aadhar card is taking so much time and without reason SBI or Post office is asking for aadhar for opening account. very funny. SBI sangvi Pune is asking about PAN card of my 11months daughter. Same problem here with me.SBI Bank manager said that the aadhar of girlchild is compulsory….and said which plan that you read on net is not here only 7.4% interest on your welth only. Is this true?? Bank is forcing us to open kids account in bank for operating SSY account. Is it necessary to open saving bank account? Same problem here with me also. I went to SBI to open my baby account but SBI person refuses to open an account in absence of Aadhaar Card. As I have found GOI Notification for Samridhi sukanya account, there no requirement of baby aadhar card is mentioned only birth certificate is required. Then, why bank person is not opening the account? you can email about this to SBI bank Manager they cannot give a false answer on email. I also faced same problem. Instead of sending mails from individual why cannot you take initiation and action to banks ?. Why don’t you release this in press mate and intimate in news channels ?. Every one facing same problem but, you are asking evidence. Sorry, don’t take this other way my intention is only to say you on behalf of every one such a beautiful scheme not able to utilize all. Is it possible to open SSY account for my daughter who is born in US and holds an OCI (Overseas Citizen of India) card.Me and my husband have indian passports. I have also been asked for aadhaar of my infant (4 months old) in SBI Vijay Nagar Colony Hyderabad. Can you please pass on a directive to all the banks, no one is aware of the complete details . we have been asking all of the employees in bank and none of them have any info regarding opening a new SSY account. My daughter is 10 year 6 month she can open this account…..please help me..
No , you can’t opt for sukanya samridhi yojna as this account can be opened till the baby child is of 10 years . In your case she has crossed age limit so you can not . for opening the SSY Account , the bank people are asking for my daughter PAN CARD,Otherwise they cannot open the account.they are asking so many details,please can the govt people can tell the banks to accept the application form.my daughters age is 10 years old. Sir I have same situation. Both parents have INDIAN passport but daughter has OCI card. We are permanently moving back to India. Should we be able to open ssy for her. I have also went to Open the SSY account for my daughter. I have provided the all the documents at SBI Kalwa, Mumbai -400605 Branch. I have provided the documents asked by them. Went to Bank and filled the 2forms. When i went for submission , they asked me that we can not open it as you dont have any LOCAL address proof…..
Request you to someone should look into this on urgent basis…. 2) Open SSY account in a private bank. We went to SBI initially to open Sukanya. They insisted on opening a separate SB account in the name of minor child to open Sukanya account. So we went to a post office to open sukanya account. Post office have a different account opening form unlike the one we get from the Internet. Here are the documents they requested . 4. Three photographs of the child and three photographs of the guardian. Note: All copies of the documents should be self attested by the guardian who is opening the account in the name of the child. I got all these information after going twice there. Today I went with all the documentation, but they insisted on self attesting it. So just in case if any one need this information in future, I am posting this. Because nowhere in any website there is detailed information on opening Sukanya account. Sorry missed one more document. Birth certificate copy of the child is also required. SBI Madipakkam branch personnel said there’s no such account when enquired about SSY and also commented that its all fake and rumour. Another officer in the same branch asked for the PAN card of my one month old daughter though we carried birth cert, Aadhar for my daughter and PAN card and Aadhaar for myself. Is PAN mandatory for this scheme? Hope bank is not ready to encourage this scheme even if we approach them with an idea to open SSY account. you can try post office or ICICI or HDFC bank. you will have to raise this complaint at the bank you are mentioning. ICICI Bank Rajarajeswari nagar branch inbangalore insisted me to opena aseperate SB account (minor) as a pre-requisite to create SSY account. Once the account was opened they insisted Aadhar card of my 10 months old daughter. finally I was denied to have SSY for my child. Some foul play suspected. Banks use this scheme to make more SB accounts. SAD..! make an official complaint against them. SBI Dispur Branch asking me for Girl’s PAN Card. She is only of 17th Month. Who will sign in the PAN card? My daughter is 10 years 5 months. I went to State Bank of India to open SSY account but bank manager told he cannot open SSY account since she has crossed 10 years. He said the system/ software has a validation which prevents him if age of child is greater than 10 years. So, even if child is 10 yrs 1 month , system is not allowing him to proceed. Is that the case. I read in internet sites that certain exemption with respect to child age has been provided since the scheme is newly introduced. Please clarify. Then are right your daughter is not eligible now. Exception is now not valid. you will have to close one of them. I have opened SSY Account for my daughter with NRI Status about 3 years back. Since this is not authorised for NRIs, now what is the procedure for closure. there are no official words as such on how to close in this case. please advise, can a NRI girl enroll in the scheme? if yes, can we pay the installments by bank transfer or standing order? Is child Aadhar card mandatory for opening Sukanya Samriddhi Account ? My daughter will be 10 years old next month. SBI bank is not accepting my application without her Aadhar card. I have already submitted Aadhar card application for my daughter, but it would take time to generate. 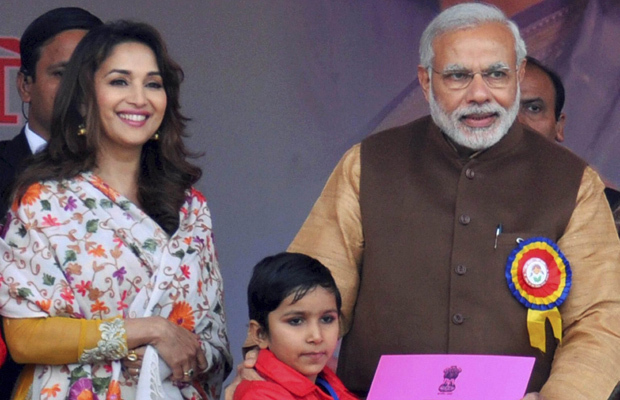 Can I open Sukanya Samriddhi account without her Aadhar card?. And I can update later once her Aadhaar card gets generated. you can open ssy account in any private bank as of now. You can port it to SBI once her aadhar is done. I have checked with ICICI bank. They also insisting the same. To open SSY, first need to create bank a/c in the name of child and Aadhaar is mandatory for that. Is any other way to open the SSY immediately ? I have all required docs except child Aadhaar card. I spoke to many private banks, no one ready to create minor bank account and accept SSY application without child Aadhar card. My daughter will be crossing 10 years next month. Can you please help me to create the SSY account ? I have already applied aadhar for my daughter on 3rd Sep 2018 and received enrolment ID. Banks still not accepting my SSY application. Please advise. my child is only 2 months old..i want open an ssa in pnb aya nagar new delhi 110047 but they want aadhar of 2 month old child. i have my aadhar, pan no, voter ID..but they need also 2 month baby’s aadhar card..
sir please tell me its a compulsory or not in pnb bank..?? when i visit pnb bank website they not mention any document required for SSA. please tell its compulsary or not…if not please give me some proof. then i will show to pnb bank manger..
today is 14th sep 2018..
aadhar card is not mandatory. but sometimes these employees lay a lot of emphasis of that especially these govt sector bank. Please drop an email to the bank manager of that particular bank regarding that. You can mention that if you will not reply in a month then i will complain in “banking ombudsman”. These bank official really fear this term. Hi i just enquire at sbi bank branch to open sukanya samridhi yojna of my daughter but representative asked for adhar card and pan card for her .she is only 1.6 year old please tell me. I am trying to open SSA at my nearest post office but the post master is asking for my daughter’s aadhar card. she is only one and half years old, I believe it is quiet difficult to make aadhar card at this age. I don’t know weather it’s mandatory or not. if not then what should I do? making aadhar card is not so difficult. It is difficult to get token and after that waiting with the child in the queue is hell. ICICI bank is asking for Adhaar card of my 10 months old Granddaughter. They have refused to open the SSA Account. how shame it is , government not taking serious action on this , it is girl child mater, they should not create this much of difficulties to open a SSA, really it is neglegence of govt . This is all a Big Farse. All banks are asking for the Aadhar of a child overlooking the law created by the Central Govt. I am sure the Central Govt must be aware of it but is not intervening. So much for tall promises by Modi schemes. Most of his schemes are on paper, not being respected by these govt officials. SHAME on both- the govt and the banks for taking people for a ride. How many photos of the parent and how many photos of the child needs to be provided while submitting the application at post office?